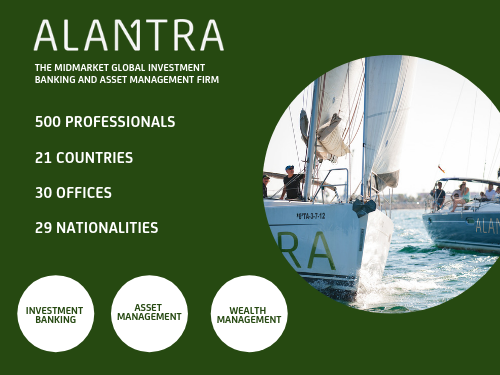 Alantra is a listed Global Investment Banking and Asset Management firm focusing on the mid-market. The firm has 30 offices in 21 countries and has advised on over 950 M&A, Debt Advisory, Financial Restructuring, Credit Portfolio and Capital Markets transactions in the last 4 years. Established in late 2016, Alantra’s Stockholm office covers the Nordic M&A market. To further enable the rapid growth path, we are now looking for new talents to join the team. As an addition to the Nordic Investment Banking team, you will work in a highly entrepreneurial and inspiring environment, and we can promise direct deal exposure in exciting cross-border projects from day one.